Te Kohanga o Te Tai Tokerau, the Maori name for Hokianga, means ‘the nest of the Northern tribes’. And most Maori tribesman can trace their ancestry to this region. The remoteness of its location and the lack of major attempts at urbanisation have allowed the region to preserve its natural beauty. Much of the surrounding area boasts untouched kauri forests, the waters are clear and inviting and the air is clean and refreshing. Hokianga offers a true getaway, not only from the hubbub of the city, but also from other getaways that are usually packed with tourists. Hokianga refers to the parts that neighbour the Hokianga harbour. The harbour is a natural formation, flanked by two headlands. According to legend, the headlands are the taniwha (mythical creatures) guardians of Kupe, the famous Polyneisan navigator who founded Hokianga. The South Head is called Arai-te-Uru and the North Head is known as Niniwa. It is the North Head that is famous for its sand dunes. The sand dunes are frequented by tourists as well as locals and bears spiritual significance to the indigenous Maori population. The action of wind and sand, over thousands of years, has led to the formation of a landscape that is both haunting and memorable. You will get the opportunity to see some truly remarkable, natural sand sculptures. And enjoy the unlimited view of the Tasman sea and coastline from the peaks of the sand dunes. The deep sand canyons, found towards the back of the island, are a breathtaking marvel, but be sure not to stand too close to the edge. You can drive to North Head, while enjoying the terrific views of the beach along the way. Or alternatively you can take a boat across Hokianga harbour. The Hokianga Express leaves the pier at Opononi and offers a magical ride across the harbour to the mystic dunes. Public transport may leave something to be desired and it would be better to rent a vehicle. But on the other hand Hokianga hotel offers the sort of services you would expect from one located at a top tourist destination. The Copthorne Hotel and Resort Hokianga, located at Omapere is a terrific place to stay. 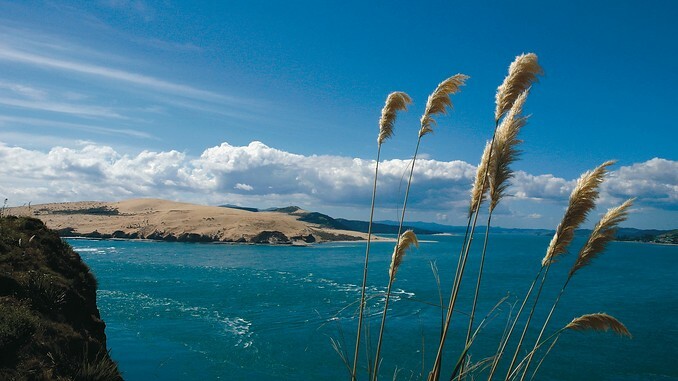 The Omapere accommodation affords guests divine views of the sand dunes across the bay. The facilities provided, like the restaurant and bar, help minimise travel within Hokianga, thus leaving you with plenty of time to enjoy your trip.